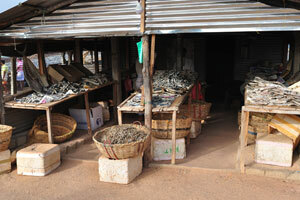 A roadside market stall with dried fish. 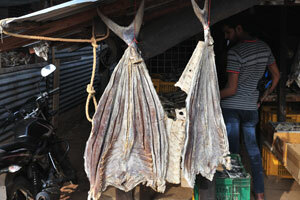 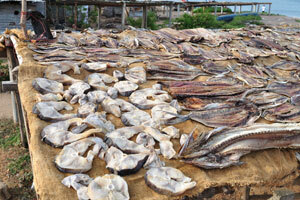 Two huge dried fishes are for sale in a roadside market stall. 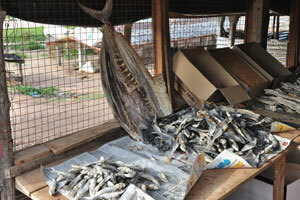 Big and small dried fishes are for sale in a roadside market stall. 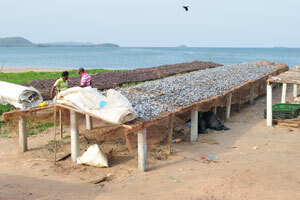 A15 road lies along the ocean shore in Kinniya. 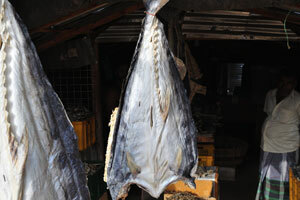 A huge dried fish is for sale in a roadside market stall. 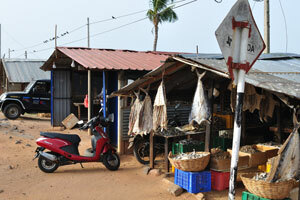 A roadside market stall is quite spacious. 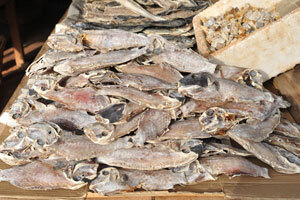 A market stall is filled with dried spotted oceanic triggerfish “Canthidermis maculata”. 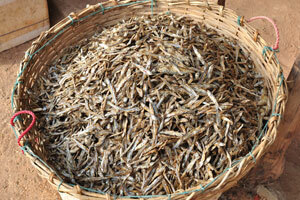 A basket with small dried fish. 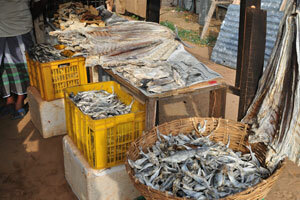 Dried fish of any sizes are for sale in a roadside market stall. 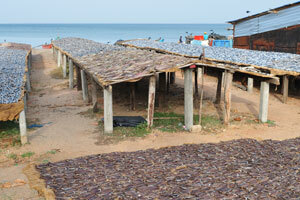 The fish drying process is on the long tables beside the ocean shore. 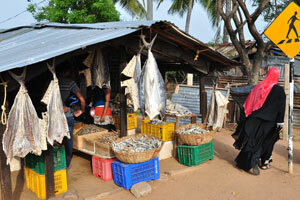 Kinniya is a fishing town. 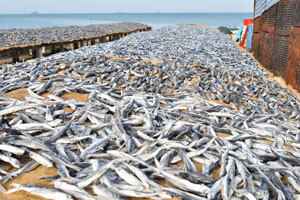 The drying fish process is under the direct rays of the sun. 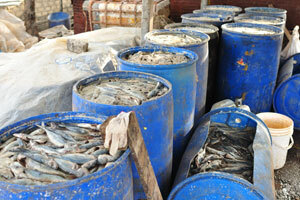 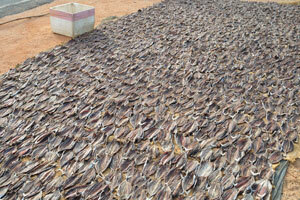 A large quantity of tuna is in the process of drying and dehydration. 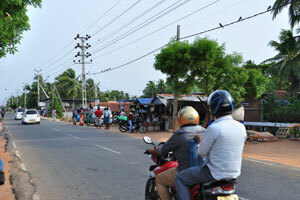 A dead crow serves as a scarecrow. 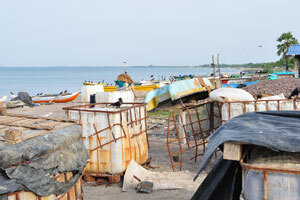 Crows fly in the fishing village. 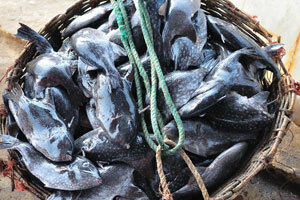 Spotted oceanic triggerfish “Canthidermis maculata”. 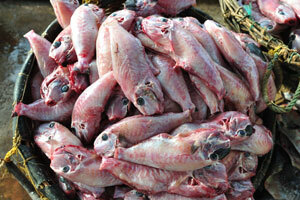 A pile of unskinned rough triggerfish “Canthidermis maculata” is in a basket. 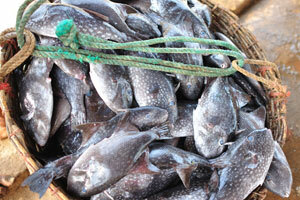 A fresh catch of rough triggerfish “Canthidermis maculata” is in a basket.